Turns out Cointellect is still running, and members that purchased contract during the month of January 2015 appears to get paid via Cryptopay. For those that purchased contract before January, you’re not getting paid at all, your funds held. For those mining without buy contract, your earning will accumulate, you will not be able to withdraw, you can only use it to buy contract when you have enough money, a minimum of 99EUR. If you mine with a CPU or GPU most likely it will take you a very long time to get to 99EUR to buy the contract. Basically only newer members that join and purchased contract will get paid. Old contract appears to be voided. A lot of people are loosing money, but appears that Cointellect willing to give refund on the different ROI, so let say you invest $100, but you only get paid $90, Cointellect said will give you $10 refund. Whatever money you have made doesn’t look like you will ever paid, you need to contact cointellect to get refund on the ROI, all old contracts voided. Only contract purchased begin of Jan still valid. Swisscard? I haven’t seen any confirmation that people are getting the swisscard, except for that one picture indicate the person received the swiss card, but suspicious because receipt posted before Cointellect announcement swisscard, so something wrong there, could be another lie from cointellect. The new contract appears to be have less earning than what the max said. So the 99EUR supposed to have max of 1.10EUR a day, but people are reporting a lot less, sometime half. Instead of 1.10EUR people are reporting 0.70 to 0.90 EUR the most they’re getting, not the 1.10EUR. As I said before, transparencies are important, look like Cointellect have transparencies now, but I’m not sure if it’s enough to keep them from being called a ponzi scheme scam. The did lied in the past or at least they don’t really know what they’re doing. So where did Bter.com hide the 7170 Bitcoin claimed got hacked? OK to the title to this blog entry isn’t funny, but honestly if we look at Bitcoin as non-regulated, then anything can happen and nobody can protect anybody, you’re on your own. However there are basic fundamental steps that you can follow to protect your Bitcoin wallet just like how you would protect your actual physical wallet. Would you leave it in plain site? would your have multiple people access to it? What surprised me this time is that this is a cold wallet, meaning it’s not a live wallet connected to the internet for transactions. This cold wallet supposed to be off the network, or the internet, how does it get hacked? Here comes the conspiracy theory! Yeah sure, bter.com stolen the Bitcoin themselves and claimed it was hacked by hackers. Why would they do this? either to get more fame, to be more popular for a few days or weeks, and then all of a sudden back to business and put those bitcoin back to work but still claiming that hackers stolen those Bitcoins? If this is true then very sad that Bitcoin have weak security or people just don’t care to protect their Bitcoin wallet with simple fundamental steps. Now if we look at actual currencies USD, latest news indicated that $1 Billion stolen by hackers hacking about 100 banks, that’s a lot more than the amount of BTC claimed to got hacked over the years including MtGOX. 720 BTC bounty for chasing it back. All wallets have been shut down and withdrawals of the unaffected coins will be arranged later. As more and more positive news on Bitcoin for the next coming years, hopefully it’s true that within the next 3 years Bitcoin will be widely adopted and use. However there are indeed bad news on Bitcoin as well, lets hope the good is greater than the bad. That’s the world we live in any ways, there are bad and there are good. The latest positive news on Bitcoin is that “Larry Summers Likes the Idea of Bitcoin” This is the Silicon valley guy on economics and growth analyst people. If we have more people like him speaks positive about Bitcoin, will surely help Bitcoin stability and rise. Off course we also have negative news about Bitcoin. The latest is that Hong Kong Bitcoin exchange firm or so call MyCoin disappeared indeed. Yes police report has been filed by many people. Since Bitcoin is not regulated, but there are rules and regulation in regard to its standard business. I’m sure the owner(s) and staff(s) will get caught and be brought to the court of law. 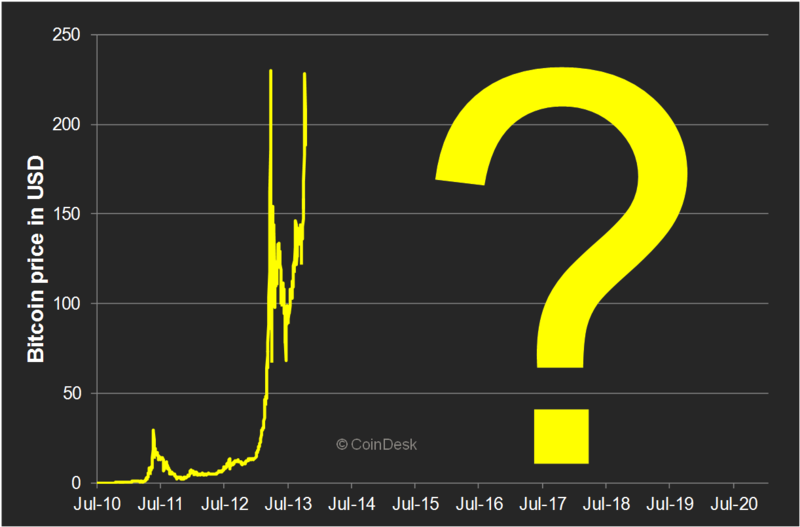 Will Bitcoin crashed again deeper with the news of Hong Kong bitcoin exchange disappeared? Bitcoin had been in the negative side for over a year now, up a little, big crashed, up a little, big crashed, and kept on doing this for over a year already. Who can save Bitcoin? Myself and many other Bitcoin enthusiast I’m sure would agreed that Bitcoin will never died, as long as there is one miner or one transaction or one wallet still exist, it will never died, and in fact today it’s next to impossible to get rid of Bitcoin because there are so many wallets already downloaded and active … I’m not going into the detail because I’m not an expert, but I’m sure you know what I mean on how Bitcoin was made and exist. So with this news on the disappearance of Hong Kong Bitcoin Exchange or so call Mycoin should have cause Bitcoin price to tumble, but surprisingly Bitcoin maintain its $220 mark. What will happen in the next of days or weeks we don’t know. For sure what we know Mycoin Hong Kong Bitcoin disappeared according to the news. So is Hong Kong Bitcoin Exchange Mycoin similar to Coinbase, Bitstamp and others? Yes, I think so. So if this happened in Hong Kong, can the same thing happen to Coinbase? Yes off course why not? But at least in Americas there are court of law. Will it happen to Coinbase? Yes possibly but for sure there will be some sign of it will fall apart before it will fall apart. What were the indication if any that Hong Kong based Bitcoin Mycoin closing? we could learn from this. Is this the world largest Bitcoin mining operations? This is probably one of the biggest Bitcoin mining operations in the world. This one is in China, located in a perfect place where cheap power and cool climate for running these mining rigs. This Bitcoin mining operation claimed to paid $80K (usd) in electric bill a month, and about 4000BTC mined monthly. So if you do the match, you will see that they’re in the profit, however we need to factor in the initial investments, and rent employees working there. Appears that these employees are being paid well. These employees must have computer skill, will train on maintenance of the Bitcoin miners. 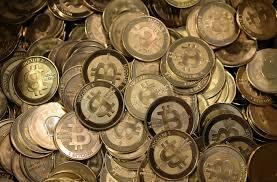 At the current price of Bitcoin $230, this operation are making about $1 million dollars worth of Bitcoin monthly. Now imagine if the price of Bitcoin is at $1000, that’s very profit if Bitcoin price ever to go back up again to $1000. Coinbase operating without a license? Basically it is true that Coinbase operating without a license in California that is. However chances are they will be issued a license soon, so they’re good and legal, they’re in compliance. Don’t worry your Bitcoin is safe at Coinbase, but who knows what the future hold. OK what’s up with the Bitcoin price? it was up nicely with strong momentum but that didn’t last long, over the past few days it dropped like a rock again back to close to under $200. Even with the good news of bring Bitcoin to stock exchange, it did help, but didn’t maintain its momentum. I strongly believe that Bitcoin will rise again someday and based on surveys and analysis, Bitcoin will be at $1000 again in 3 years, although we may not see Bitcoin going up anytime soon in 2015. Therefore if you’re thinking about invest or play with Bitcoin, don’t expect any profit in the next 6 months or a year.